We create 215,000 GSA SER back-links for your Website or Blog. This helps your Website or Blog get ranked on Google and other search engines, thereby driving much of organic traffic for you and adding to your success. By getting ranked on google you will get more visitors, which will increase your earnings tenfold. 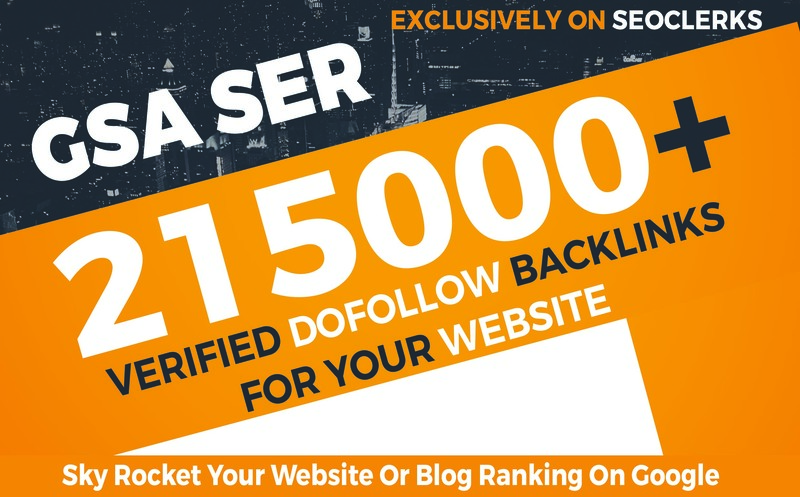 215,000+ GSA Dofollow Backlinks to Boost your Site Ranking on Google SERP is ranked 5 out of 5. Based on 9 user reviews.